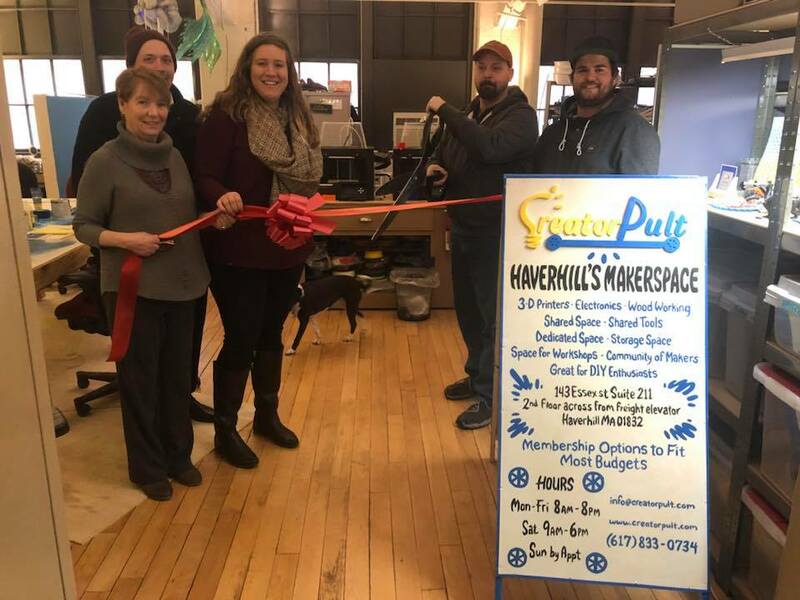 The Greater Haverhill Chamber of Commerce was pleased to conduct a Ribbon Cutting on Wednesday, March 21, 2018 in celebration of the grand opening of Creatorpult. Creatorpult offers 1250 square feet of crafting and creativity classes and events plus a place to exercise your creative side. Creatorpult also offers coworking space which provides entrepreneurs, remote workers and home-based business with dedicated and shared workspaces that will let them have their living room back.